Click on image for full poster. Viewer discretion is advised. Leo Laporte has made an illustrious career of being a subtle and not-so-subtle racist — from the time he couldn’t tell asians apart — to the time he said all black people looked the same. There was also that time he used a racist slur to describe Florence Ion (@Ohthatflo), not just once but twice. 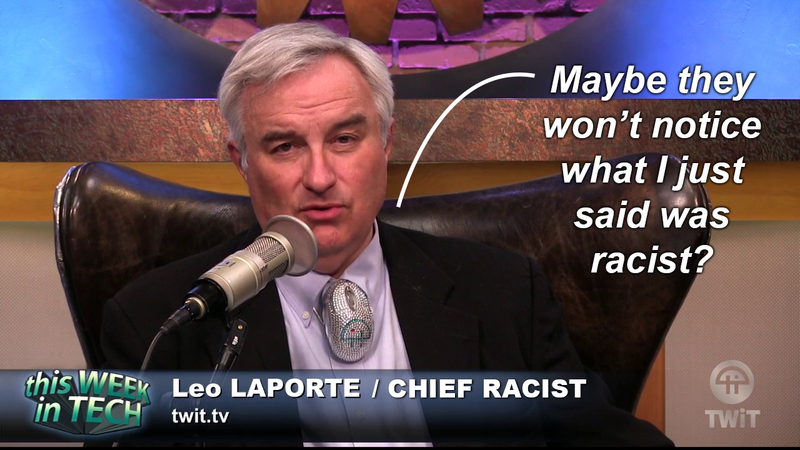 If there was a special league for racists, Leo Laporte would be batting a thousand and be the team MVP by now. But Leo Laporte isn’t happy with merely being the top racist in Petaluma (where he moved to to escape minorities) — he clearly has bigger aspirations. On this past Sunday’s This Week in Tech Leo Laporte decided to show his further disdain for blacks and hispanics. Leo Laporte seen here building energy so he can spew racist remarks. When given the opportunity to explain why Japan has a low crime rate, he surmised it might be related to its homogeneous population and history of public shaming. An intelligent racist would have stopped there. What came from his diseased mouth next was completely disgusting, but it came as no shock to regular viewers of this network. We’ll give Leo Laporte the benefit of the doubt that he simply “forgot” to mention that white people also commit crimes. Yeas™Leo Laporte is definitely not a racist /s. Thank you to the user thoughtpolyp who notified us about this incident in the comment section of our last article #fistbump. If you see anything newsworthy please (1) visit our chat room, or (2) leave an anonymous comment below, or (3) submit a tip by clicking on “Feedback & Tips” to the right. What’s not so easy to forgive is his casual racism. He called Florence Ion a gypsy over and over until Peter corrected him. 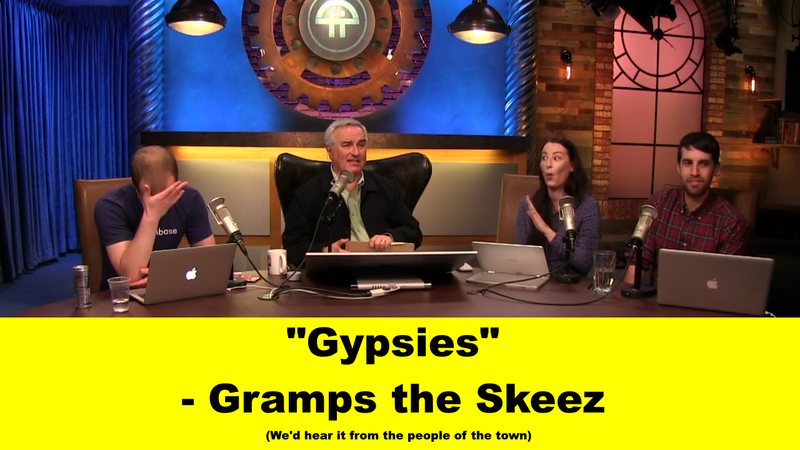 Leo Laporte used that learning moment to spew more stereotypes of the Romani people, asking her if she has a violin and requesting that she play it for him. He did all of this in a stupid accent, of course. This is not the first time he’s done something like this. In previous shows and live copyright infringements, he’s stated that some black people “all look alike”, and he thought “nigras” was an acceptable term for black people as well. He didn’t really correct Megan Morrone’s racism, but it at least made him uncomfortable.